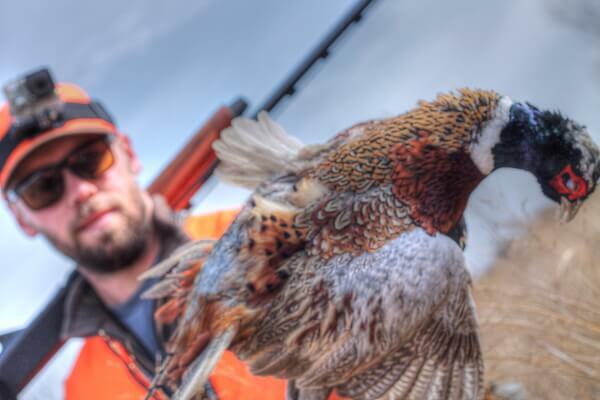 South Dakota Pheasant Numbers Struggle - Kansas Soars! With the upcoming Kansas pheasant hunts are approaching us quickly we have some great news to report about the upland hunting outlook here in Kansas. The spring weather has been favorable and it looks to be another ROCK SOLID year of pheasant and quail hunting. We have had some heavy rain in comparison to most of South Dakota where they have experienced drought conditions for most of this spring and summer. These wet and cool conditions have been very favorable for habitat and nesting for the pheasants. Kansas should see another year of increased numbers of pheasants, with the Southwest corridor and 10 Gauge Outfitters in Kinsley Kansas being situated in areas that had some of the best results from the 2017 Pheasant Early Season Crowing Survey. 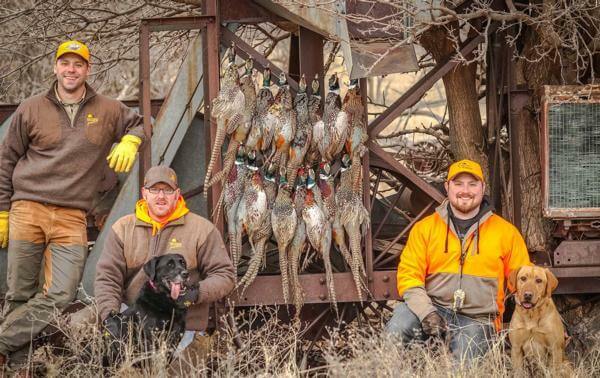 Kansas has traditionally been overlooked on their amazing upland hunting opportunities. With less pressure – more birds and a shorter distance to drive from the states like Texas, Oklahoma, Missouri, Iowa, Nebraska, clients are able to spend more time in the field than in the truck or plane. The 2017 Season brings a lot of excitement here at 10 Gauge Outfitters aside from seeing great numbers this summer of birds and habitat we recently just finished an addition to the lodge, and can now accommodate up to 20 pheasant hunters. For those hunters now looking to bring in a large group of friends/family/co-workers or even those large corporate events, we have the room! Check out the new photos of the lodge addition or take the virtual tour to check it out for yourself! Another new addition to the 10 Gauge Outfitters hunting adventure list is the opportunity to hunt the Early Season in Kansas. Due to some requests of opening up the hunting lodge in October – 10 Gauge has acquired some hunting land that falls under the preserve status. This means now instead of driving for South Dakota pheasants, you can save yourself 8-10 hours in the truck and hunt some of the best land in the Midwest. Aside from this, you can hunt QUAIL as well in Kansas. We look forward to a great and wonderful year here at 10 Gauge Outfitters. To book your next hunt please fill out our contact form, email or give me a call. I am more than willing to help answer all your questions about your next pheasant hunting adventure here in Kansas. Nesting success is going to be key to this fall’s hunt, and Runia ventured some insights. “Precipitation during the nesting and early brood-rearing period of April and May was 80% of normal state-wide, but only 40-60% of normal in central and north-central South Dakota,” said Runia. “North-central South Dakota had the fourth driest April-May on record. The lack of moisture in central and north-central South Dakota has resulted in poor vegetation growth which could reduce concealment cover for nesting pheasants and broods.